Dead Running was a term used by Pirates when they were bearing down on another ship. Much like geocachers hunting for a cache. Dead Running was a term used by Pirates when they were bearing down on another ship. Much like geocachers hunting for a cache. 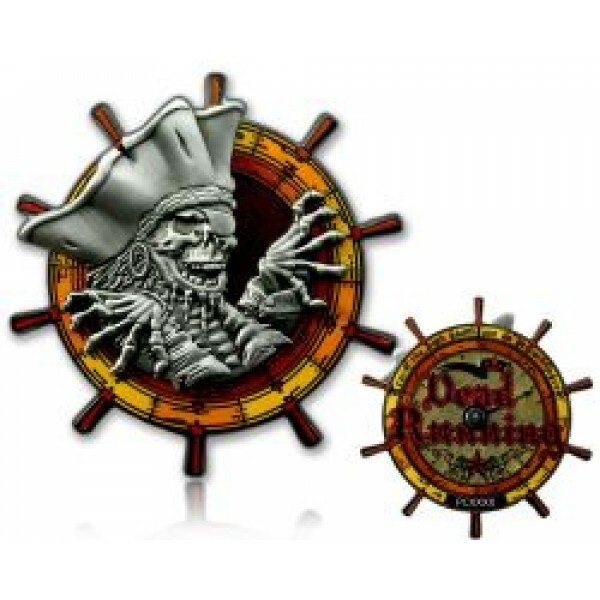 This coin changes bearing, the skeletal pirate spins on the ship wheel allowing you to alter course.